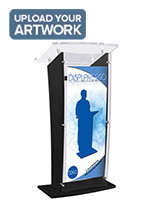 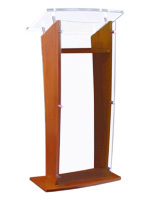 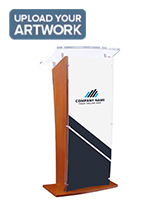 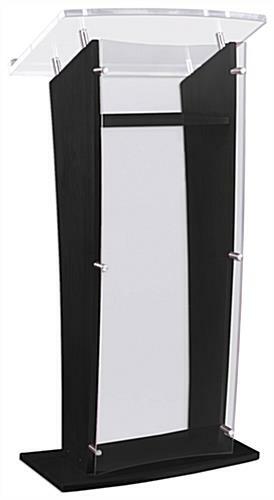 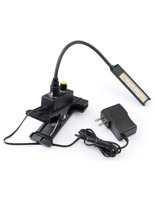 This speech podium is typically used for speaking engagements in hotels, schools, and colleges, and for a variety of business endeavors that involve an audience. 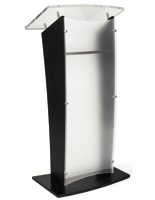 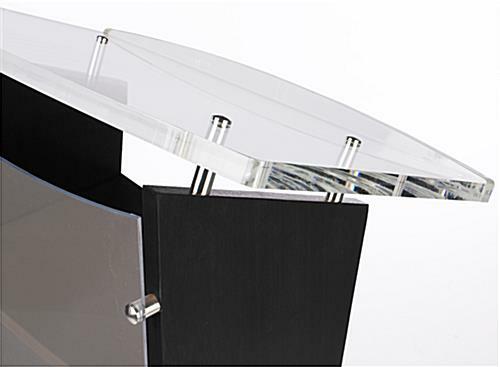 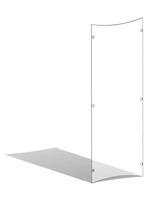 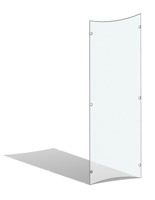 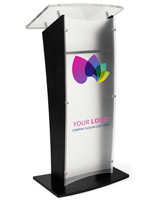 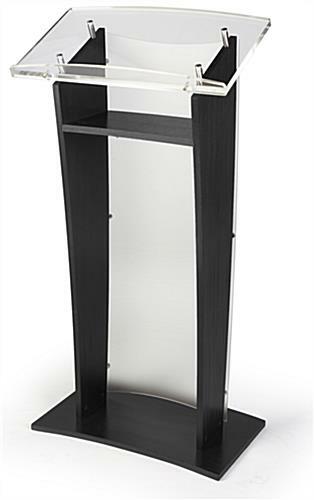 These presentation stands feature a contemporary design with a clear acrylic reading surface and column, and black woodgrain sides. 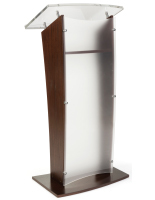 The audience will be captivated not only by the discussions but by the podium itself! This floor display for public speaking has a unique H-shape with a curved edge. 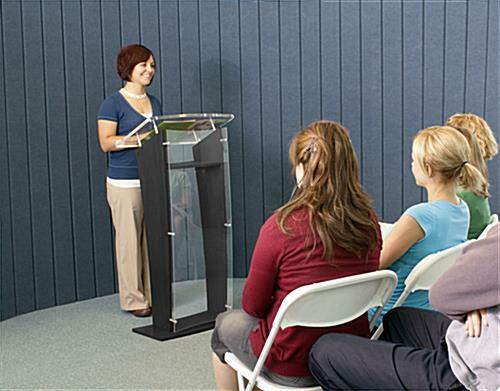 Want to provide additional support to the lecturer? 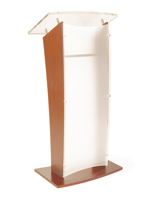 This podium has a convenient interior shelf for keeping distracting paperwork out of the way or keep talking notes nearby.